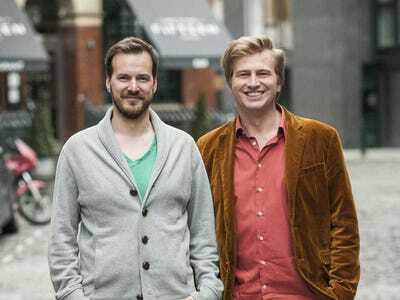 London-based currency exchange startup TransferWise is reportedly headed for a valuation close to $US1 billion dollars. The Financial Times reports that US venture capital firm Sequoia Capital is in “advanced discussions” with TransferWise to invest $US50 million, and sources involved in the talks claim that the company’s valuation is close to $US1 billion dollars. Sequoia Capital isn’t the only company interested in TransferWise, though. The Financial Times’ sources claim that other US VC funds have expressed interest. Hinrikus, who was Skype’s first employee, was still being paid in kroons, and had to transfer the money to his UK bank account. Käärmann, however, had to send money the other way. They hit upon a scheme that exchanged money between their accounts, resulting in a dramatically lower transfer fee.